First Recycle Event of the Year! Save the Date. Saturday, April 13th, 10am-3pm. The event will be at the old location of Santa Fe University of Art and Design, just across the street from our new location. Help us to give back to some true heroes, Santa Fe Search and Rescue (SFSAR). This volunteer group provides trained teams to participate in searches for persons who are missing, injured or lost. SFSAR uses its funding to purchase a variety of search-related items, including radios, safety equipment and technical rescue gear. As an all-volunteer group, each member is responsible for providing his or her own personal gear and transportation. The limited funds from search and rescue comes primarily from donations and memberships. 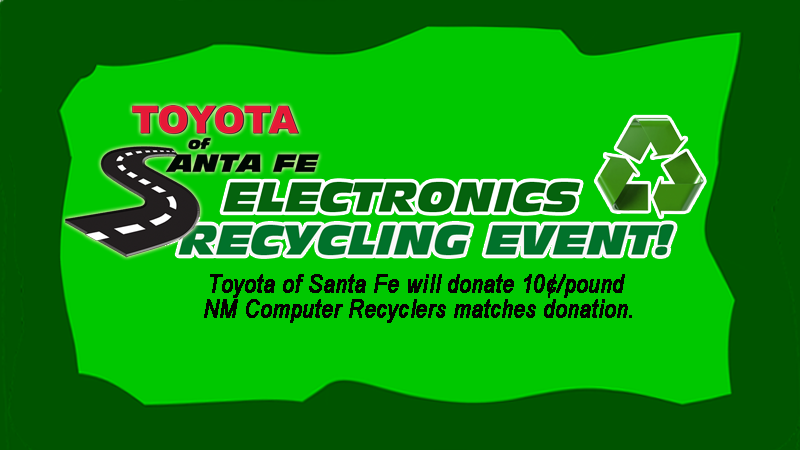 Toyota of Santa Fe and New Mexico Electronic Recyclers will each be donating ten cents per pound for every point donated. Please NO TVs of any kind. The actual event will be on the grounds of the former Santa Fe University of Art and Design, located across the street from the new location of Toyota of Santa Fe. We hope to allow early drop offs at Toyota of Santa Fe. More details to be announced soon. past event: Sept 27- October 6, 2018. 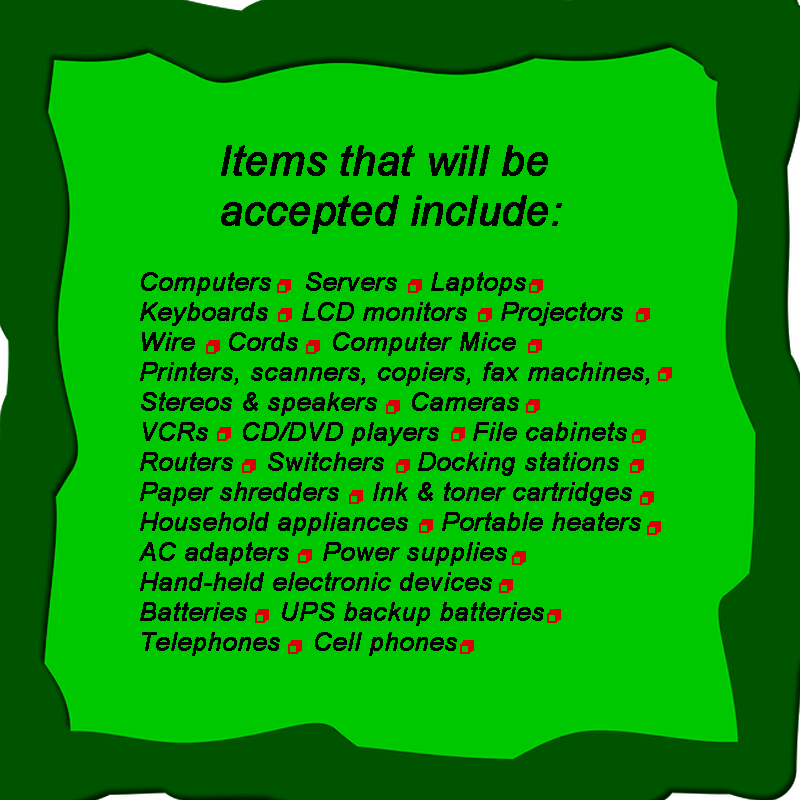 Bring more used electronics on October 6th to 2502 Camino Entrada, Santa Fe Near Airport Road. Look for the Recycle Signs. Meet the New Mexico Computer Recycling team will be on hand to help accept your recycled materials. 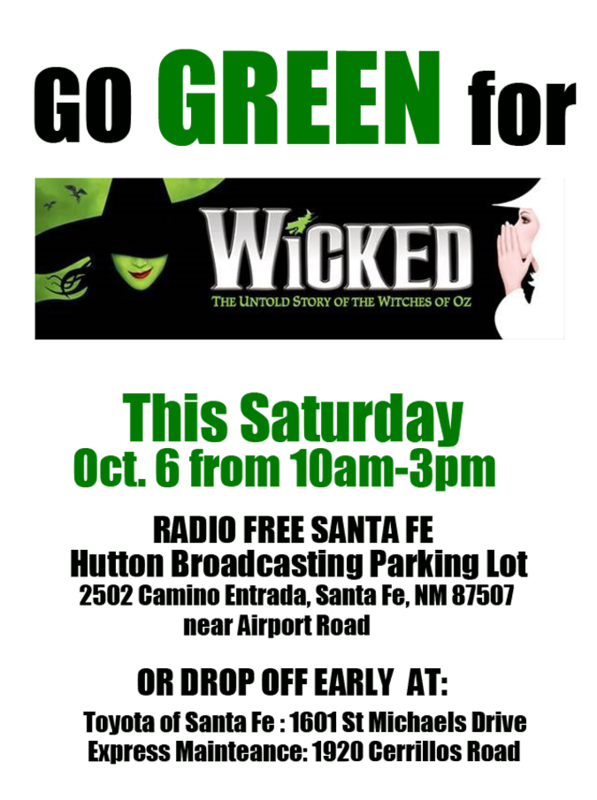 Anyone donating on this date to this location is automatically entered in a contest to receive Wicked tickets and other items. We’ll also be there to share tips on how you can stay green for the rest of 2018. See some of Toyotas most fuel efficient vehicles. Drop off your donations as early at 9am Thursday, September 27. 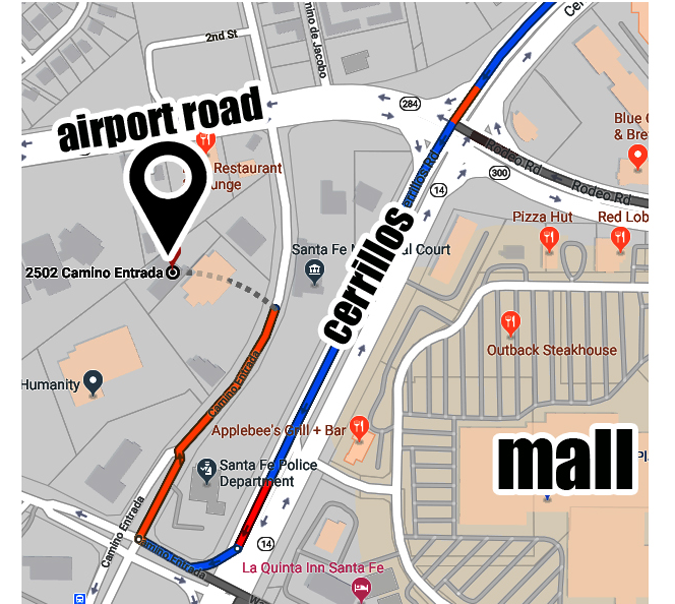 You may drop off your donations from Sept 27th – October 6th at Toyota of Santa Fe, 1601 St Michaels Drive or at Express Maintenance, 1920 Cerrillos Road. 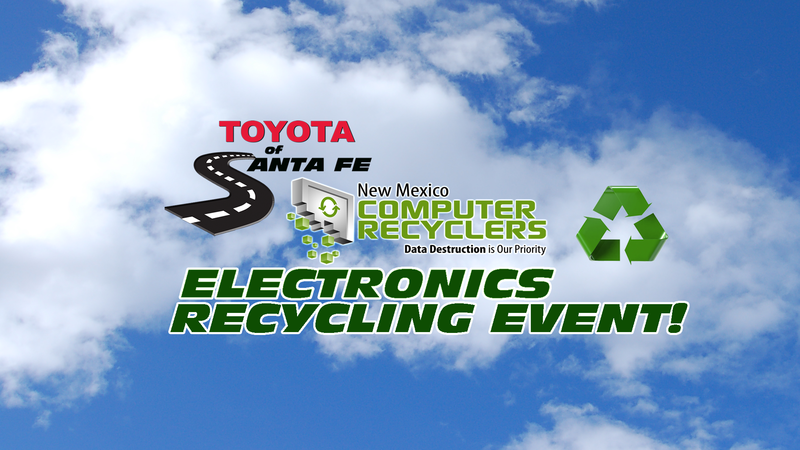 The official recycle event is Saturday Oct 6th from 10am-3pm at Hutton Broadcasting Parking Lot, 2502 Camino Entrada , Santa Fe NM 87507. During that event, we will have special events and demonstrations to help you stay green for the rest of 2018. 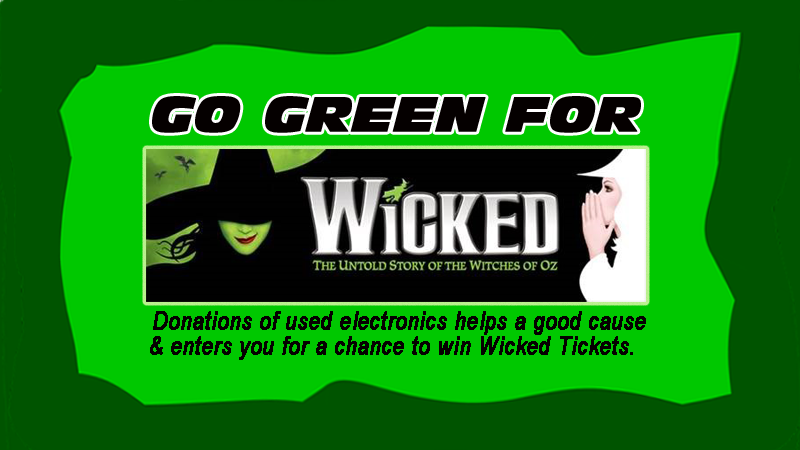 Get a Tax Write-Off for the electronics you recycle. 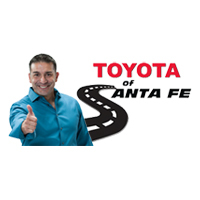 Toyota of Santa Fe will be donating 10 cents /poound to a worthy non-profit. This will be matched by Electronic Recyclers. Join us to help the environment and a great cause! .